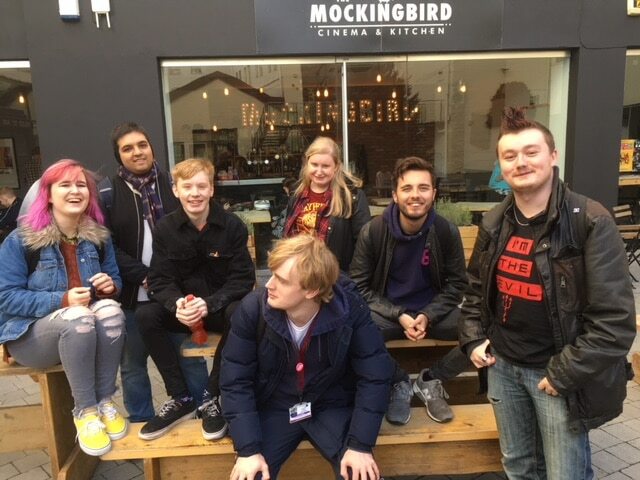 HND Creative Media students from Stratford-upon-Avon College and BA Creative Film Production students from Solihull College & University Centre travelled to Birmingham for a seminar and Q&A with professional screenwriter, Ryan Davis at the Mockingbird Cinema. Ryan has written a novel, 27, which was published in 2012, and has written film and TV scripts with Carl Tibbetts, director of TV shows such as Black Mirror. 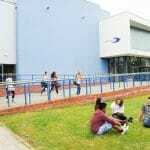 After providing the students with an overview of essential criteria for successful narrative structures, Ryan answered the students’ questions about approaches to scriptwriting and working as a professional screenwriter for TV and Film. 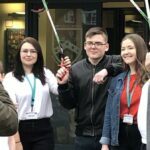 The seminar is just the latest in a series of opportunities for College Media students to meet industry professionals face to face, vital for the development of their scriptwriting and filmmaking expertise.